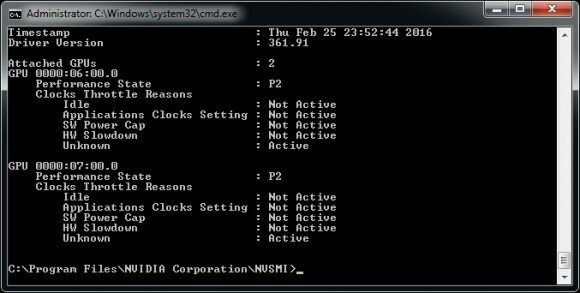 There are a number of tools available that can allow you to monitor and control various aspects of your GPU and most fo them do come with nice graphical user interface to make things simple. When mining however you might want to have easy console command control over the GPU behavior to be able to execute commands that change things from a Batch file fro example right before a given miner software is stated. For Nvidia GPUs there is the Nvidia System Management Interface (nvidia-smi) command line utility that can help you do that in a simple and effective way, we have already showed an example using it to control the power state of the GPUs for getting some extra performance with non-overclocked video cards that are not running at the maximum power state when doing compute tasks such as mining for crypto currencies. Now it is time to show you some more useful tricks for using the nvidia-smi to check and modify the maximum TDP (Power Limit) that a given GPU can use as well as how to monitor constantly the GPU temperature and power usage and possibly log them in a file if you need that recorded for some further analysis. 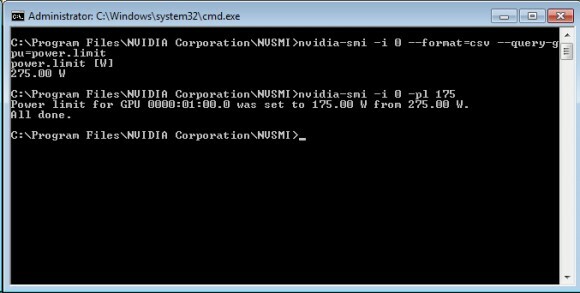 The nvidia-smi utility is part of the video drivers and you can find it installed in the folder “C:\Program Files\NVIDIA Corporation\NVSMI\” on Windows, so you need to run the command line (cmd) and navigate to that folder in order to be able to issue commands. 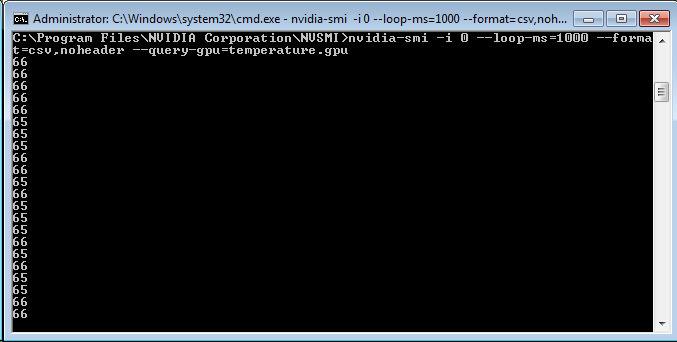 You then need to run nvidia-smi with some specific parameters based on what you need it to do such as specifying which GPU you need to play with by ID and then the command that needs to be sent or the data read from it. The reporting of the current power usage can be very helpful when tweaking your Nvidia-based video card for achieving the best power usage / mining performance ratio and also in order to compare power usage between different crypto algorithms. The nvidia-smi tool has some other useful features that may be handy for users, do note however that the changes you make with it are not permanent, they will need reapplying if you restart your computer, but you can automate them with a simple batch file by running a command right before you start up your miner software. 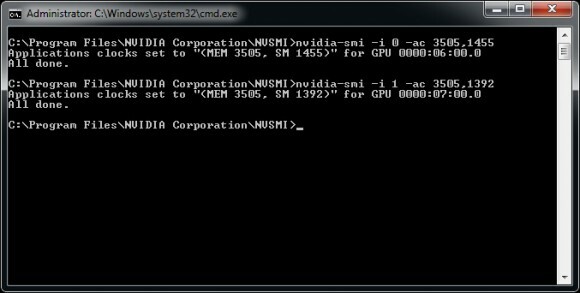 There is a little trick that can help you get some extra hashrate out of your Nvidia GPU when mining Ethereum or another more memory dependent algorithm, though it will most likely not affect many of the other crypto algorithms. By default when running Compute applications on your GPU it does not go to the highest Power State of the card, meaning that you might not be able to squeeze the maximum performance out of the video card and that is without overclocking anything. 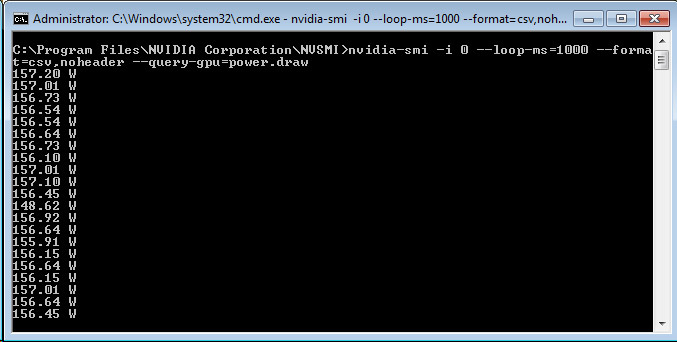 Thanks to the Nvidia System Management Interface (nvidia-smi) command line utility you are able to force the GPU to work in P0 state (the highest power state) instead of staying at maximum P2 when running a Compute applications such as a crypto miner software. Do note that this specific lower maximum power state is only for Compute applications, so it is not needed, not it should affect gaming performance where the GPU shuld go up to P0 power state if the conditions allow it. Do note that the P-state changes dynamically, so you need to be running Ethminer or another application when you issue the above command to see the power state active under load, otherwise you might see a lower power state being active if the GPU is idle. The above will list all of the supported frequencies in the different power states that your video card can use, but there is no need to check the complete list. All we need to note are the frequencies at the top of the list for the Memory and the Graphics, in this example we are using GTX 970 video card from Gigabyte and the values we need are 3505 MHz for the VRAM and 1455 MHz for the GPU. 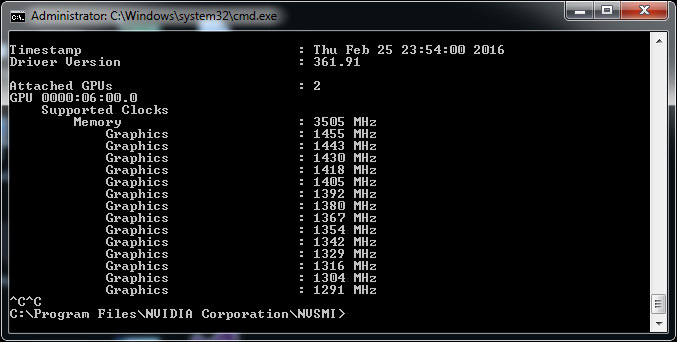 We’ll need these frequencies for the next step. The question that undoubtedly comes now is how we have increased the performance for mining Ethereum by following the instructions above. Well it is pretty easy to check by running a benchmark with Ethminer, or just running the miner and noting the new increased frequencies that you should now have and compare them to the ones you previously had. On the Nvidia Gigabyte GTX 970 WF3OC video card used in the guide we are normally getting about 17.31 MHS in terms of hashrate mining Ethereum when the GPU is maxing out at the P2 power state, when we force it to go to the P0 power state the hashrate increases to about 19.98 MHS. So this is a nice improvement in terms of performance that comes at a cost of just about 10W higher power usage from the video card. Do note however that while this will work with Ethereum for increasing performance due to the heavy usage of video memory in the mining process, doing it may not bring performance improvement in many other commonly used mining algorithms.